 Triangle Farms has diversified itself by adding many different enterprises, due to the circumstances it has encountered over the years. A lot of our farm has acreage that is un-tillable. For many years this acreage was used for grazing cattle. We could not see where raising cattle would be a profitable enterprise so we sold the cattle and planted most of the un-tillable acres in Douglas fir for timber. When we did this, we had a lot of brush start growing in areas. We decided to try raising goats to help control the brush. This has worked well but has to be managed properly to prevent damage to our tree plantations. As our goat herd increased so did the demand of goats for meat. We offer full blood Boer Goat livestock papered and un-papered depending on your needs. We offer males and females of all ages. If you have an interest in crossbred Boer’s we offer females and limited males. Due to the high demand we have for these animals we are always taking orders ahead. We also offer wethers for meat or brush control. Prices on our goats vary depending on quantity and the animal. Prices start at $2.00 per pound for wethers and up. Call and come by to see what we have to offer. Having over 800 head of goats offers a lot of selection! After raising goats in the Northwest for several years I have found that they require at least three times the amount of management that cattle require. Meat Goats have less tolerance of parasites and normally require treatment every few months. Coccidiosis can be one of the leading causes of heavy losses if left untreated and it seems to show up at any time. There are infections and diseases that can come out of nowhere and some with no preventions. Some infections such as sore mouth are best left to run its course. Feet must be cared for every few months in the winter months due to wet soils in our area that are soft and don’t keep their hooves wore down. Feet that are not trimmed invite foot rot, poor posture and lameness when not corrected. Keeping predators out is a challenge in itself. We use guard dogs to help control our losses. Several years ago we had a stray dog come in and kill 30-40 goats over several months before we caught him. We had four guard dogs with the herd. We saw the dog several times while the goats were close to home but he did not seem to pose as a threat except eat food out of the dog feeders. When the goats were moved away from the barn he started killing. The guard dogs would not touch him. This animal was almost twice the size of our largest dog. After a couple of months of killing, we were able to remove him after we saw him physically kill animals. Coyotes, stray dogs, cougars, bobcats, bears and large raccoons also like to eat goats, especially kids. With these predators we have had very good luck in the past several years preventing or reducing losses from predation. The major problem with guard dogs is that they will track and go after predators that come into their area. The second problem is they dig under barbwire fencing or jump over a five-foot fence when they want to move. The best thing to use that we have found is 49″ woven with 12″ or 4″ stays with two strands of four point barbs on top and one strand of four point barb wires on the ground tight. If you can use electricity, then put one strand off-set about 12″ from the bottom; this keeps the dogs from digging out and the goats from following when the hole gets big enough. New Zealand fencing should work well if it is electric. Due to the fire danger and remoteness, we use woven wire in most of our pastures. Woven is less annual maintenance from what we have found, but higher cost to install. Make sure you get 12″ or 4″ stays on your woven fencing unless you remove the horns on your goats; otherwise, they will get caught between the stays and die. This type of fencing cost us around $3 per linear foot, depending on the terrain, but we have found that it requires the least maintenance over the years. Our fences used for summer pasture normally last 20 to 30 years, but when used in high-pressure areas where the pasture is used in the winter, they only last about 12-15 years. We have found that feeding with good alfalfa and some mixed rolled grain, if trying to add weight, works best in the wintertime when you are trying to cut the cost of feeding. The pay off with goats comes in the spring with the eating habits they have. We have also found that they can make most overgrown weed patches look like a park in a few years. They are constantly moving and they love eating a lot of the evasive plants such as thistle heads, tansy, blackberries, nettles, and they trim trees up. Goats are able to live with cattle since goats are browsers and cattle are grazers. They work well in environmentally sensitive areas due to their size and eating habits. They normally sleep in large groups but cover a lot of ground while browsing during the day. It is important to make sure they have all the salt and minerals they need, or they can cause damage to desirable trees by removing bark; depending on the size of the trees, this will sometimes not even prevent girdling on trees. In our area we have found that breeding goats in late November into December and kidding late April thru May works best for us with the least amount of intervention. We prefer to not to micro manage at kidding time and utilize open spaces with plenty of natural feed. Using this program we kid around 110% once a year. We have had the best success with this program. We started our large herd of goats using Spanish Cashmere Does with Boer Bucks over the last several years. A few years ago we had our first Kiko cross kids. The Boer bloodlines have helped make a larger framed and better dress percentage carcass for meat, but we have found that they are not as aggressive and lack stamina when first born. The Spanish cross goats are not tame and act more like deer. Animals that have less human contact work best for brush control because they tend to prefer browsing over being fed hay and grain. We also have a small herd of Fancy Full Blood Boars that we use for breeding stock and keep close to home. They are very nice animals with good dispositions, but they are not near as aggressive in brush control. We, however, force them to browse for food during the growing season. These animals are suited well for show animals and breeding stock and would make good starter herds or 4-H projects. When we started raising goats our goal was to reduce the use pesticides for brush control. This has been very successful over the last few years. Selling the wethers for meat has worked well to help pay part of the winter feed bill. We also give price breaks if you are purchasing several goats. In the past we have kept our goats at home cleaning brush on our own property and building our herd size due to the large area that we have. We are considering leasing our herds out for weed and fire control. If you have interest in this environmental alternative to pesticides please give us a call or contact us and we can consult you on options. The cost for this practice will depend on the area, size and fencing of the property you have. When working with native forbs to keep, timing must also be considered to use this practice. Remember that using goats for weed control is a simple theory that can be done two other ways: pesticides and mowing. Constant mowing will have a lot of the same effect as grazing without the selection. Using goats to control weeds works well but it takes several years to get weeds under control and still requires maintenance or a change of plantings to prevent re-infestations. For example, we are using the goats to clean bottom branches on timber trees, tansy, stinging nettles, blackberries and many others in ten-year-old Douglas fir plantings. This works well but has to be managed properly so they do not girdle the bark on young Douglas fir trees. So far we have done this with minimal damage while helping control a lot of evasive species. There is also an added value, a high value-fertilizer. These pellets are natural products that are virtually weed free and very high in nutrients that help the trees. Goats can be a profitable venture but can take many years of investment in order to become profitable. In order for this to be accomplished, it takes intense management and marketing.